In library class, we talk about great stories, from The Secret Garden to The Secrets of Nimh, and interesting characters, from Harry the Dog to Harry Potter. We discuss fiction writers like Kate DiCamillo and Tomie DePaola, David Shannon and Shannon Hale; what kind of books they write and why people like them. And we talk about different genres, in fiction and non-fiction, and what they have to teach us about people and the world. 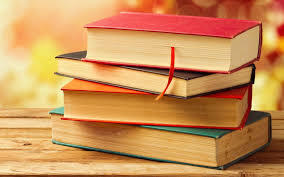 All students are encouraged to look for a good book every week, for their class work or for pleasure reading, and may check out one or two books, depending on their grade. Parents can help, by reading aloud to very young students, helping young readers with their books, and encouraging older or reluctant readers to read–and to return their books every week!